Automated — control everything from Admin, no any hack or not need any third-party stuff. Full Responsive — adapts to mobile, tab and laptop devices. Passed “Mobile-Friendly Test” on Google webmasters tools. Multilingual Ready (RTL Support) — support right to left language such as Arabic and Persian. Build home layout by shortcode / drag / drop widgets — show category posts by Label Widget, very easy change the sorting of the label sections or repeat label sections. 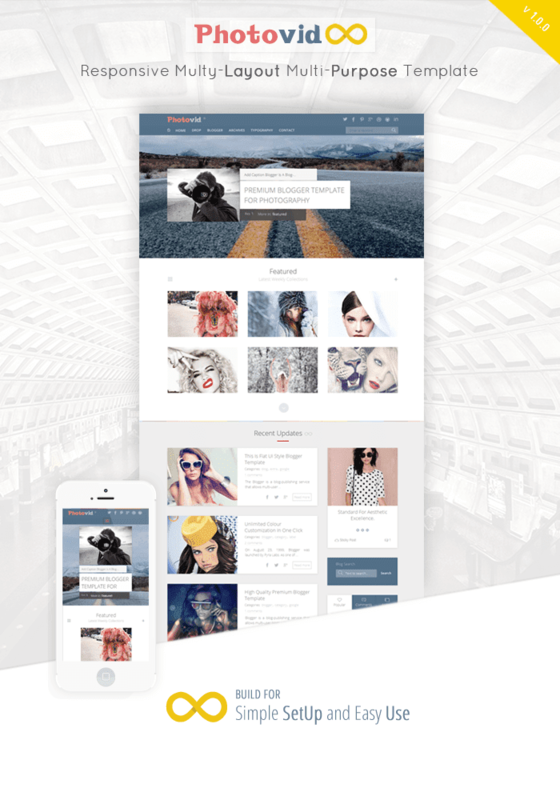 Multi-Layout — three in one template XML. When you install one template you can choose different layout whenever you want by single click. No any hack or coding required. Post Typography —Typography to make your content stylish and more professional. Template Customizer — upload background images, change background color, key colors, fonts. Simple options easy to understand with clear documentation. Unlimited Colors — Change the template color you’d like! Auto detects Video posts — video post thumbnail or player with summary without any widget. Support any video sharing sites (only on recent post). Auto detects Audio posts — audio post summary with player, Image without any widget. Support any audio sharing sites (only on recent post). Search Engine Optimized — Structured data, Schema, rich snippets. Awesome Mega Menu — place your text, image, audio, video from admin. Disqus Comment system — Set Disqus comment system easily, without edit Template HTML. Auto Author biography under post — Without widget. Regular updates and professional support included — free. to make more beautiful Blogger Templates. Thanks!